The big question is what makes up your basic winter wardrobe. The winter season can vary dramatically from moment to moment. Because of this, you'll need a quite a range of different items to suit the winter climate where you live or travel to. When deciding on what winter clothes you need, you'll have a wide range of winter clothing to choose from as there are many department, retail clothing stores and sports store. Getting winter clothes orientated is key to keeping warm and comfortable during winter. 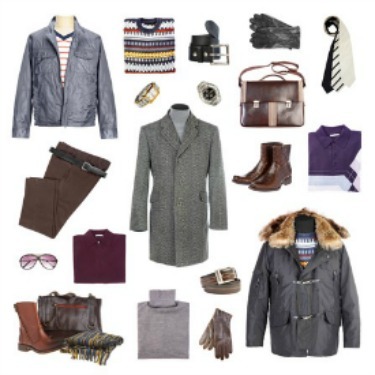 Your basic winter wardrobe is going to include quite a wide range of clothing, footwear and accessories. Here are the key items you'll need for your basic winter wardrobe. Now, you'll need several sets of the same things too so you can mix and match. At a minimum, having upwards of about ten plus combinations for your upper body and five to ten different types of winter-weight pants would serve you quite well for a winter season. For women, here's what your winter clothing would look like. There's more though ... you might also need several sets of winter suits and skirts, a few winter dresses and perhaps some formal winter attire for that special event too. Here are some insights and recommendations that I've found to work very well for me over the years in preparing and enjoying the winter season. You can probably add your own recommendations after a winter season or two. A loose fitting outdoor coat to allows you to add layers underneath it if necessary. Boots must have thick non-slip or rubber soles so you won't slip on ice. This is really important! Wool socks keep your feet warmer unlike cotton or cotton/poly blends. Mid-length jackets or coats offer better protection over more of your lower body. Hats should be wool or fleece as they are the warmest fabrics to wear on your head anytime. Remember, most of your body heat is lost through the top of your head. Gloves need to have a good warm lining and definitely be waterproof. Sleep on comforting flannel bed sheets too instead of cool cotton sheet sets. Same goes for any other winter sport that you do outdoors like skating or tobogganing. 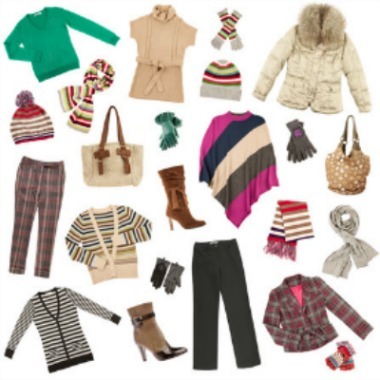 There are other things to know about how to assemble your winter wardrobe. Getting winter orientated is important. Learning about the best winter clothing strategy that works in all types of winter weather from coast to coast is also important.